New York circa 1904. 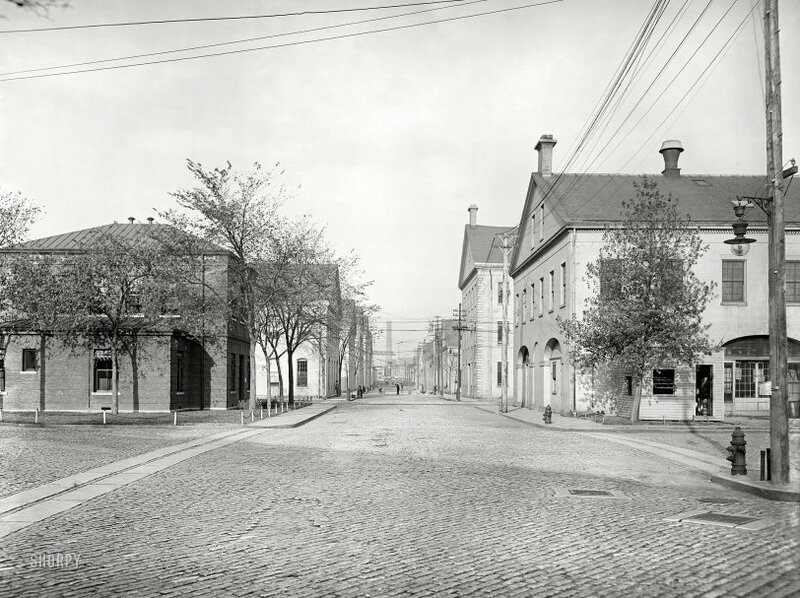 "Brooklyn Navy Yard -- view from Sands Street entrance." 8x10 inch dry plate glass negative, Detroit Publishing Company. View full size. Peeking in the same gate today. Submitted by kozel on Fri, 07/13/2018 - 10:40am.